Hood River, Oregon – May 17, 2017 – Because there’s no such thing as “beermelon,” Full Sail Brewing Co. has invented the next best thing – new Session Watermelon Wheat Ale. For years, watermelons have been slammed with sledgehammers, launched from catapults, and worn as helmets. We’re giving watermelons the respect they deserve. Session Watermelon Wheat is brewed with watermelon for a crisp, refreshing beer that smells and tastes like a slice of summer. Respect at last! 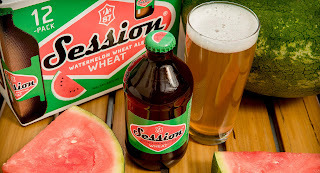 Session Watermelon Wheat pours a deep gold with a white lacy head and a slightly floral aroma. Brewed with 2-row Northwest Pale, Malted Wheat, and Unmalted Wheat, Hallertauer and Crystal hops, and a hint of fresh watermelon flavor, Watermelon Wheat is a refreshing brew for the blue-sky days of spring and summer drinking. When Full Sail launched the Session brand 12 years ago, it quickly became the hottest new craft-beer brand on the market, which has since brought home more than 100 medals, including 40 golds. Session’s not a micro, a macro, or an import, but in a way it’s a little bit of each. You see, virtually everyone who likes beer likes Session. It’s a brand that’s accessible without being ordinary. Totally drinkable, but never at the expense of character. 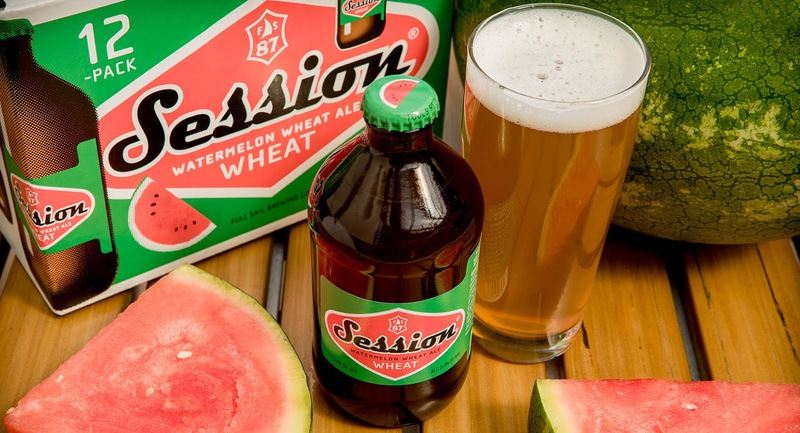 And now in time for summer, there’s Session Watermelon Wheat Ale. Available in the Session Series, May through August, in 12-packs and on draft. Open a bottle of fine vine, and get your Sesh on. 5.4% ABV, 23 IBUs.